A bald eagle lands in the snow at the edge of the Chilkat River, near Haines, Alaska. In this area is the Alaska Chilkat Bald Eagle Preserve, where thousands of bald eagles gather to feast on the last runs of coho and chum salmon—a globally unique phenomenon. The area is threatened by a proposed hardrock mine. Earthjustice is representing a native tribal council and conservation groups to stop the mine. At the Alaska Chilkat Bald Eagle Preserve, thousands of bald eagles gather to feast on the last runs of coho and chum salmon—a globally unique phenomenon. Full-scale mine development to extract metals-bearing rock is a process that has the well-documented and all-too-frequent consequence of releasing toxic heavy-metals pollution and acidic water into the surrounding environment. The Chilkat River—“Jilkaat Heeni” in the Tlingit language, meaning “storage container for salmon”—runs from its headwaters in the Coast Mountains of British Columbia, Canada, into the sea near Haines, Alaska. The watershed, which includes the Klehini River, provides spawning grounds for all five species of Pacific salmon, as well as anadromous eulachon and trout. The surrounding steep mountainsides, forests, and river valleys are inhabited by mountain goats, wolverines, wolves, black and brown bears, and moose. It is a spectacularly beautiful, amazingly special and unique place in this world. A bald eagle at Chilkat River. Download photos and videos for media use. Where the Chilkat and Klehini Rivers meet the Tsirku River near Klukwan, alluvial deposits under the riverbeds release warm water and keep the confluence open into late autumn when other waterbodies have frozen. Here, within an area set aside as the Alaska Chilkat Bald Eagle Preserve, thousands of bald eagles gather to feast on the last runs of coho and chum salmon—a globally unique phenomenon. The watershed was settled millennia ago and is the traditional territory of the Chilkat Tlingit people. Today, the watershed remains central, economically and culturally, to the Chilkat Indian Village of Klukwan, a federally recognized tribe. Traditional harvests, particularly of wild salmon and eulachon, are the lifeblood of the Village. Wild stocks of salmon returning to the Chilkat watershed are harvested by commercial, recreational and subsistence fishermen. 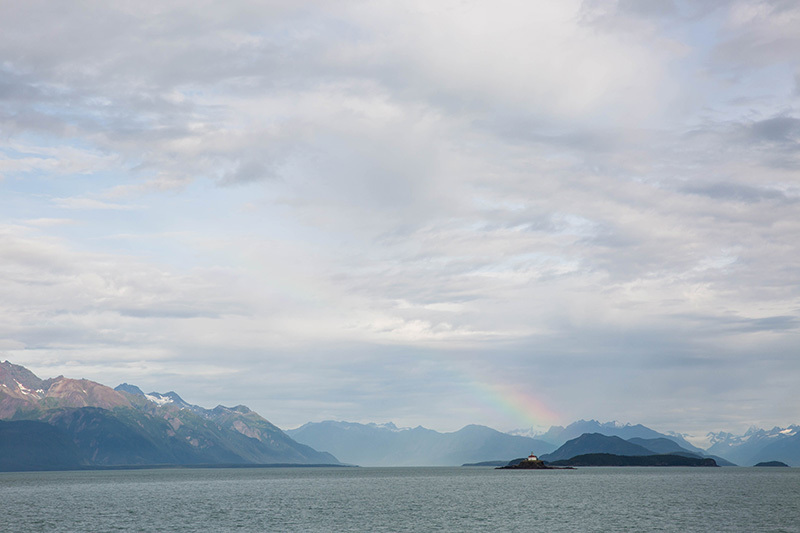 The Chilkat watershed is central to the livelihoods and culture of people who live, fish, and hunt there, or otherwise depend on and enjoy the region’s pristine waters, rich wildlife, and immense natural beauty. 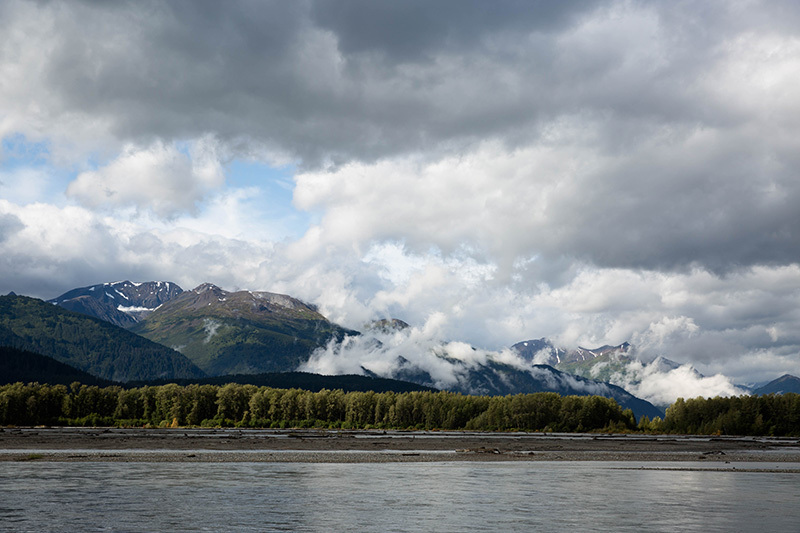 The Chilkat River near Haines. Download photos and videos for media use. Upper Lynn Canal / Eldred Rock Lighthouse. Download photos and videos for media use. 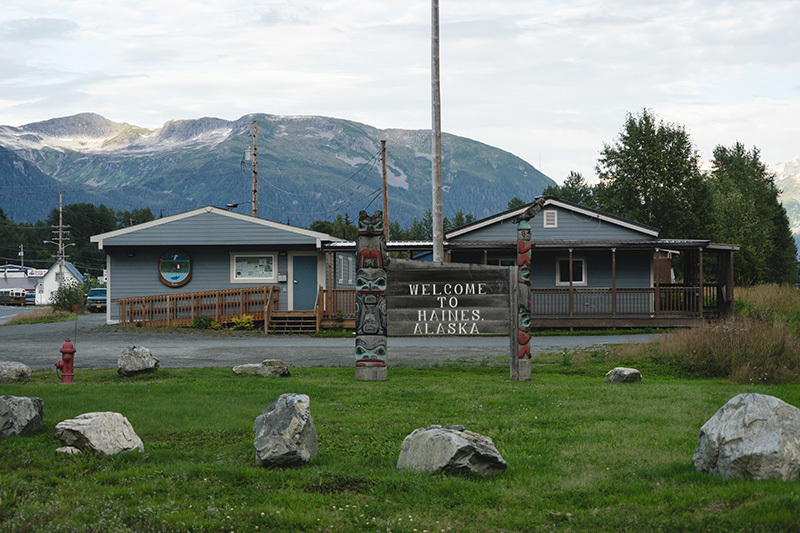 Visitors Center, Haines, AK. Download photos and videos for media use. 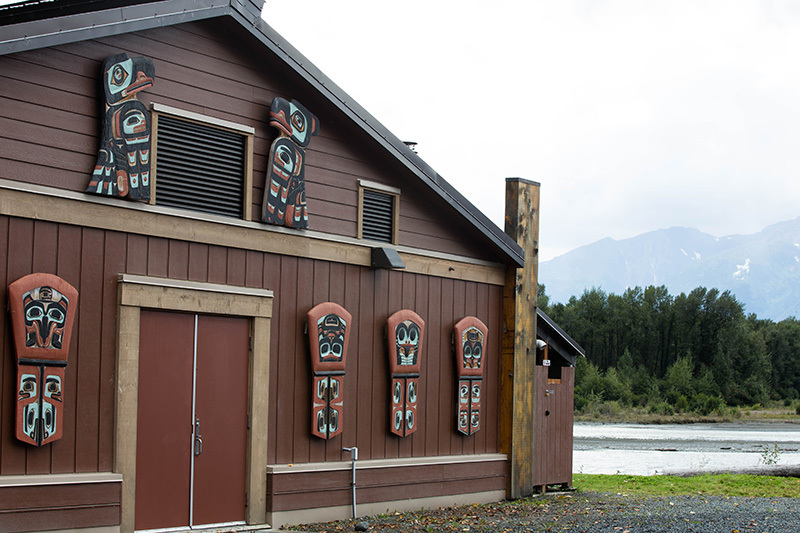 Hospitality Center Chilkat Indian Village Klukwan. Download photos and videos for media use. 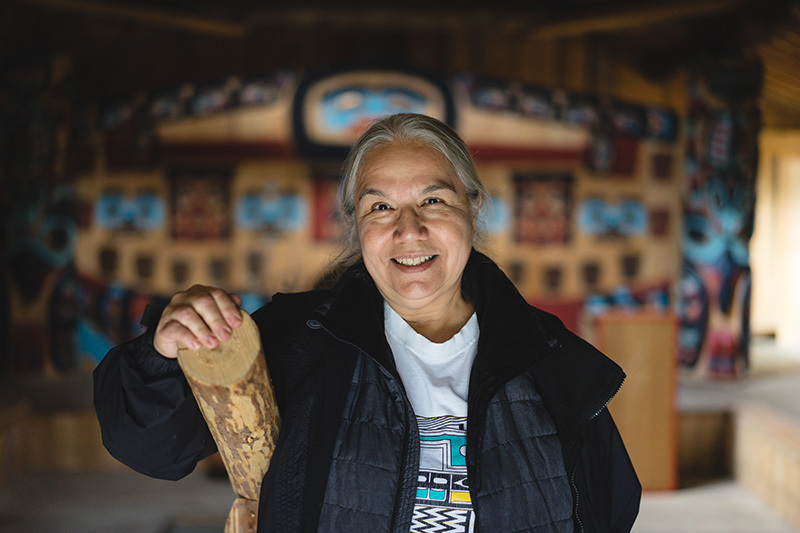 Loni Hotch, Chilkat Clan House Klukwan. Download photos and videos for media use. 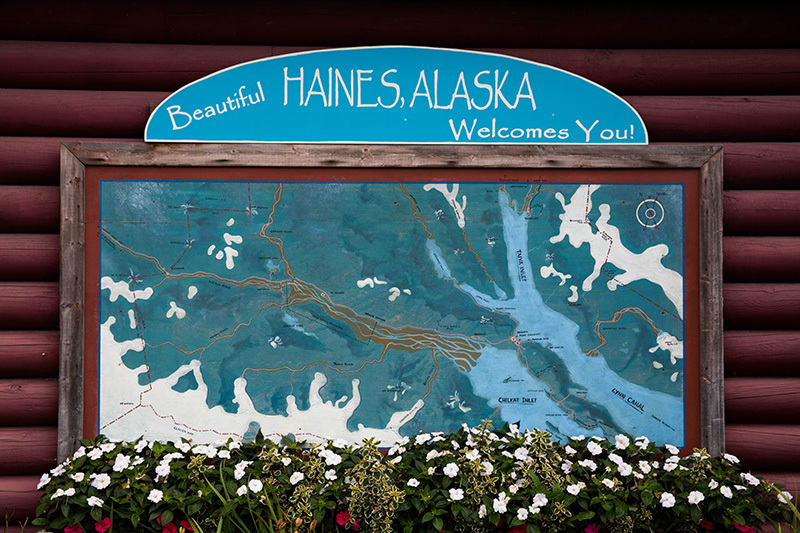 Haines, AK. Download photos and videos for media use. 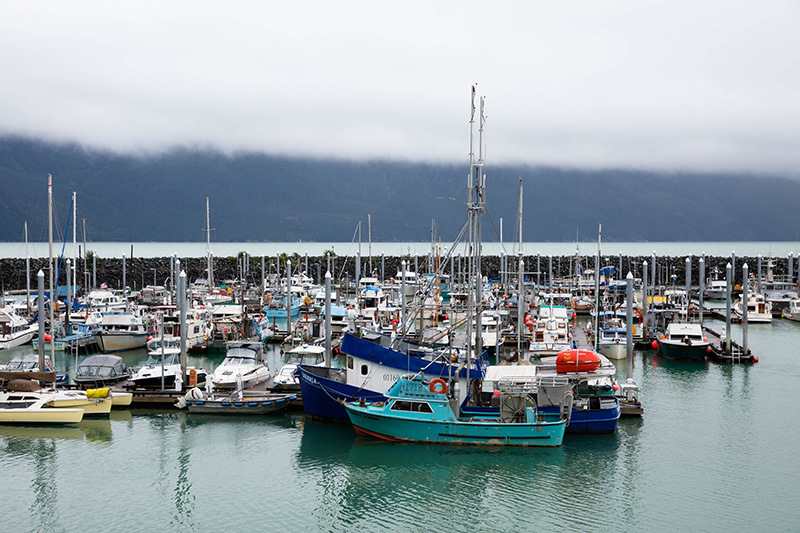 Portage Cove Harbor, Haines. Download photos and videos for media use. Today, mining threatens the watershed. A Canadian company, Constantine Metal Resources Ltd., with financing from a Japanese company, Dowa Metals & Mining Co. Ltd., is conducting exploration drilling above Glacier Creek, a tributary of the Klehini River, to determine whether there is a commercially valuable copper-zinc-gold-silver deposit in the mountainside. If exploration leads to such a discovery, the next step would be full-scale mine development to extract metals-bearing rock, a process that has the well-documented and all-too-frequent consequence of releasing toxic heavy-metals pollution and acidic water into the surrounding environment. 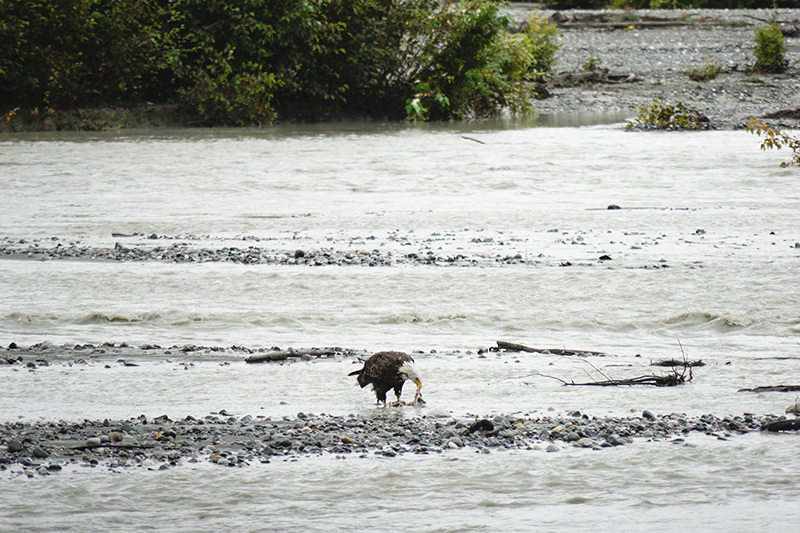 If developed, the mine would threaten the downstream environment, including the Alaska Chilkat Bald Eagle Preserve and Klukwan, with mine-waste pollution that could devastate fish populations and all who depend upon them. BLM has oversight responsibility for Constantine Metals’ project, but has failed in that role. Under the United States’ bedrock environmental laws, BLM must consider the impacts of its incremental decisions advancing the mining project. Since 2016, BLM has twice approved Constantine Metals’ exploration activities, both times refusing to consider the impacts of potential mine development and its potentially devastating consequences for the watershed, even as the company continues to invest more money in the project. BLM’s promise to look at development impacts later is insufficient; if the company were to discover a valuable deposit to mine, BLM’s power under the law to protect the public’s land at that point would be compromised. Download photos and videos for media use.